Surrounded by the sea and rich in farmlands and open fields, Martha’s Vineyard is perfectly placed to offer an unparalleled choice of foods and fun places to enjoy it. 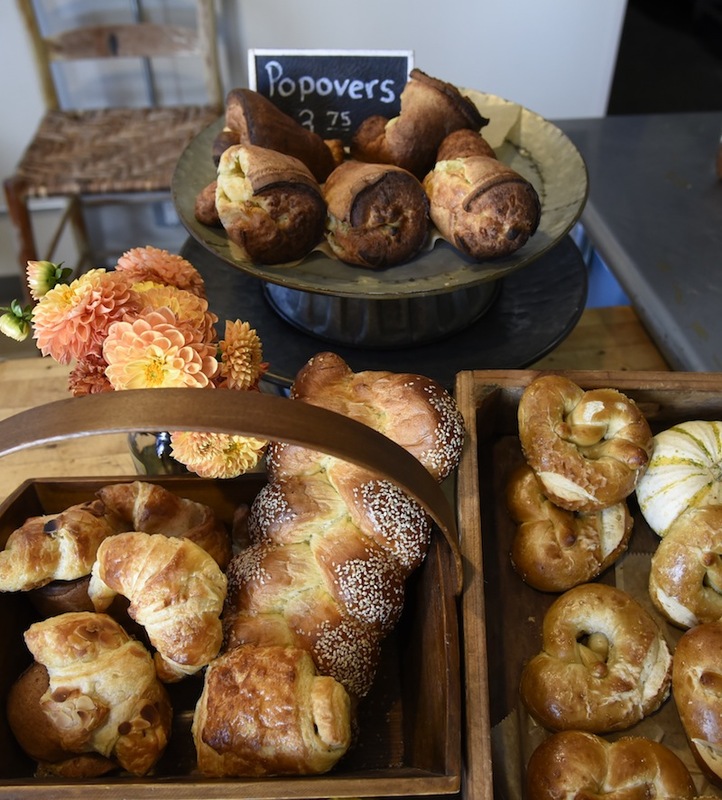 Start your day with fresh baked goods from any one of Martha’s Vineyard’s fine bakeries. From bread to biscuits, scones to soda breads, you’ll find any number of ways to satisfy your morning appetite! For lunch and dinner you can crack open a lobster on worn wooden tables right on the shore up in Menemsha or atop fine china in any number of restaurants thrughout Martha’s Vineyard. Relish a brown bag full of fresh fried oysters while strolling on the pier in Oak Bluffs or enjoy them on the half shell with cocktails on a deck overlooking the harbor in Edgartown. Warm yourself with chowder or cool down with an inventive salad composed of crisp greens, picked fresh the same morning. And not to be overlooked are Martha’s Vineyard’s farm stands and Farmer’s Markets. One of the summer’s most popular activities is paying a visit to the West Tisbury Farmers Market and other open markets that take place throughout the week and throughout the Island. Here shoppers will find the freshest and best produce that Martha’s Vineyard farmers have to offer along with baked good, pantry items and more. Food on the go –pizza, hot dogs, subs and ice cream – and food to linger over, Martha’s Vineyard welcomes you to its table. Welcome to Martha’s Vineyard’s amazing summer weather. Take advantage of the warm, sunny days by eating outdoors: by the sea or tucked discreetly in a hidden garden. From lobster in the rough to white table clothe dining, MVOL.com wishes you bon appetit! 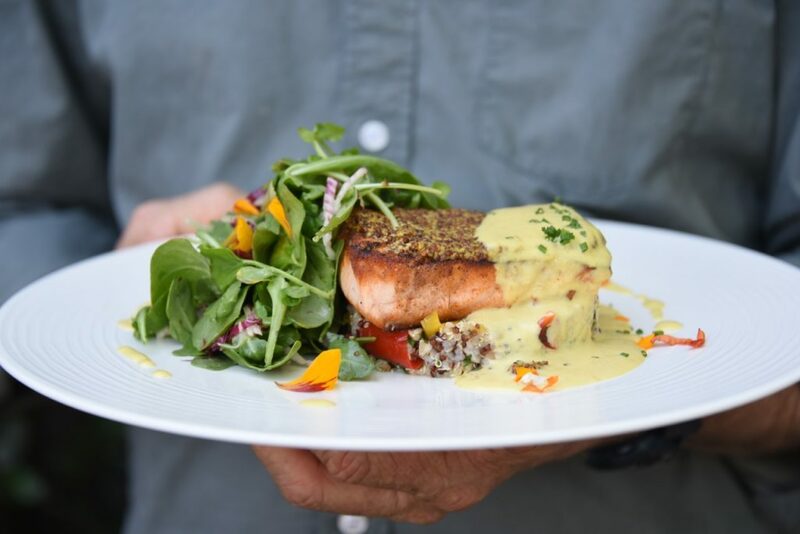 Dining out on Martha’s Vineyard offers many pleasures: locally sourced foods, fresh seafood and of course, the delicious seasonal dishes prepared by the Island’s creative and talented chefs. From simple sandwiches to tasting menus, artisanal beers, fine wines and inventive cocktails, come dine with us on MV!